The "Studio-matriX" bonus-part of this album is the perfect venue to spotlight the talent behind the remixing desk gathering 12 upbeat reworks they have created over the last months for bands like NITZER EBB feat. DEPECHE MODE, AYRIA, LEAETHER STRIP, IMPLANT feat. ANGELSPIT, UNTER NULL, I:SCINTILLA, HELALYN FLOWERS, etc. 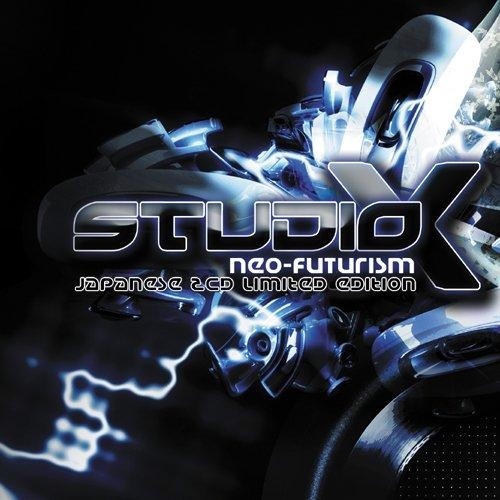 But "Neo-Futurism" is much more than just a remix showcase, above all the album reveals another dimension of STUDIO-X activities: their original compositions confirming to us that this Australian project was initially set up in 2008 and set on a mission to be the ultimate music portal for producers/DJ's Lawrie Bayldon & Matthew Martin. Tracklisting CD2: "compilation of remixes by STUDIO-X"